Tracey Jordan was Head of Legal – Transactions at Charter Hall Group, and was General Counsel & Company Secretary of the Charter Hall Group from December 2012 until March 2017. Tracey has more than 25 years’ experience in real estate and funds management, with extensive knowledge of real estate transactions, development, structuring, funds management, compliance and corporate governance. Prior to joining Charter Hall, Tracey was National Manager, Unlisted Property Funds, and Senior Legal Counsel at Stockland. 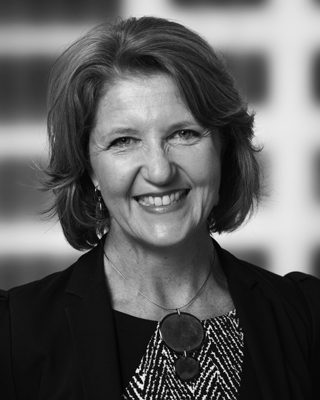 Tracey was also a Senior Associate for King & Wood Mallesons in its Canberra office in the Property and Projects division from 1999 to October 2005. Tracey is admitted as a Solicitor to the Supreme Court of NSW, the Supreme Court of the Australian Capital Territory and the High Court of Australia. Tracey is a member of the Sydney Philharmonia Symphony Chorus, and a member of the Centenary Circle, and has performed in choirs and orchestras since her childhood. She is passionate about the role that music, and particularly choirs, have to play in the general well being and health of a community. Tracey brings to the board her experience in providing high level strategic direction and leadership, deep property experience, general business experience, stakeholder management, and a love of music.